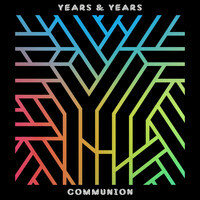 Off the back of two top 20 singles in the UK, and support stints with Clean Bandit and Sam Smith, London’s Years & Years are being tipped as ones to watch in 2015. Here, bassist Mikey reflects on what has been a breakthrough year for the electro-pop trio, and shares his hopes for the next 12 months. Hey Mikey, how’s the tour with Sam Smith? Are you finding his audiences receptive? What’s Sam Smith like to tour with? Is he happier in real life than what his songs suggest? He seems happy! At the same time, he always seems to be lovesick, like, “Oh, I met someone in New York but I have to tour...” (Laughs) But yeah, he is such a lovely guy, really caring and warm. So I moved to London five years ago from Australia. I used to be in bands in Melbourne and I thought I may as well start one in London, because it seemed to be the place for music. Because I didn’t know anyone, I put an advert online and Emre [Turkmen, synths] applied. So we kept meeting up to speak about Radiohead and just started playing songs together, though it was originally folk music with ukuleles and stuff! Presumably you bonded over shared musical tastes? Yeah, we bonded over people like Little Dragon, Radiohead and Flying Lotus. But we actually started off playing a lot more guitar-focused stuff, sort of like Beirut and Fleet Foxes. Then, over the years, we bought a lot of synthesisers and laptops and things which made our music a bit more dance-y. Olly’s tastes changed slightly, too, listening to more house and dance stuff. 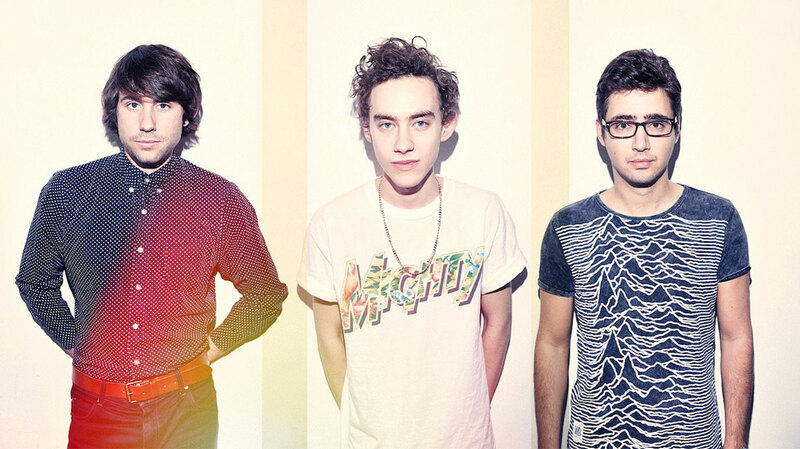 For the benefit of people who are new to Years & Years, how would you describe your sound? I usually tell my mum we make pop music, but I’m not really supposed to say pop music. Why not? Done well, pop music is hard to beat! Yeah, exactly! There’s nothing wrong with pop music. How about I say we make intelligent pop? How does the creative process work between the three of you? Olly is very traditional and will always write on a piano, playing chords and stuff, whereas Emre is the opposite, using loads of technology. So [Emre] will have a bunch of templates on his laptop – like beats and synths – and then sometimes we’ll mix and match to see if they work with the vocals, or sometimes we’ll start from scratch. So we take away the piano part and re-do it with bass synth or real bass, add some beats and stuff like that. That’s kind of how we get there, but it does change depending on which song. You started the year signed with Kitsuné and have since moved to Polydor. What convinced you to sign with them? It was a crazy time: fun but also terrifying, because we had to do showcases where three guys would come in to our rehearsal room to stare at us playing. But it was kind-of nice to go through that, and then move forward and start writing again. Speaking of which, have you started work on your debut album yet? Yeah, I’d say we are about 63% done. I think we’ve got about six or seven tracks recorded fully and we want to try and get to 12 or 13 for the album. We’re recording it in London's Queen’s Park with Mark Ralph, so we will be going back into the studio next week, when we have a break from touring with Sam Smith. It’s quite early days, we know, but what can we expect from the record? Expect upbeat stuff and house-y vibes. But also expect diversity! We’re definitely going to put a few more downbeat songs on the album as well, so it’s not all manic dance tunes the whole way through. Is there any sense of pressure at all, or are you all just enjoying the creative process? I really like the writing process, but you do create your own pressures. Like, ‘Desire’ got on the A-list on Radio 1, so then you’re like, “Oh the next track has to do better.” But you can’t go into a studio thinking, “We need to make a single”, that’s just something that happens. So I guess we are relaxed in the approach to it. It’s definitely been a breakthrough year for you. What were your hopes for 2014 back in January, and how do they compare to the reality? At the start of the year, I had a job in a restaurant, Olly was acting, and Emre was actually an architect, so it was always our dream to make music full-time. We just had no idea that the music we make would be this well-received, and that we would go from playing bars in London to travelling to places like Tokyo. The last year has been a whirlwind, in the sense that, when you’re in it, you don’t really realise what’s going on. And then, when we take a step back and reflect on what has happened this year, we realise it’s been crazy. We played the main stage at the New Musica Festival in Katowice, Poland, and we were convinced nobody was going to have heard of us. Our show was at 7pm or something, in this massive tent, and when we were about to go on there were only 10 people in the crowd. About 20 minutes later, the whole place had filled up and the reception was just amazing. It was just crazy that all these people in Poland had heard of us, and then it dawned on us that our music is reaching people across the world... Which is crazy. So what are your hopes for 2015? To have finished and released the album, and then hopefully to tour a bit more of the world with it. We’ve never been to America, and I’d also love to go back and tour Australia as it’s my home. Yeah, for me personally, to play a gig in Melbourne by the end of 2015 would be the dream.